For years it’s been a matter of some uncertainty: Just how much of his left ear did Van Gogh cut off? (Perhaps you’ve encountered somebody who triumphantly informed you that it was just the tip.) Well, one woman has found new evidence suggesting that it was, indeed, his entire ear. The author and amateur historian Bernadette Murphy, while researching the last period of that Dutch Post Impressionist’s life for a new book, discovered a document in an American archive that may help resolve the issue. A note written by Félix Rey, a doctor who treated van Gogh at the Arles hospital, contains a drawing of the mangled ear showing that the artist indeed cut off the whole thing. The document will be part of “On the Verge of Insanity,” an exhibit opening this week at Amsterdam’s Van Gogh Museum. And according to the Guardian, it pushes back on the long-standing idea that the artist’s illness and genius were intertwined. Yet, a new exhibition at the Van Gogh Museum in Amsterdam questions what it sees as a romantic myth about the Dutch artist, who lethally shot himself in a cornfield at Auvers-sur-Oise in 1890. Using a combination of art, written documents and a severely rusted revolver that was found by a farmer in 1960 in that same cornfield, On the Verge of Insanityargues that far from inspiring his art, Van Gogh’s illness was an impediment to his talent. It stopped him working for long periods, and he heroically defied its totally uncreative effects to create some of the most powerful art in history. 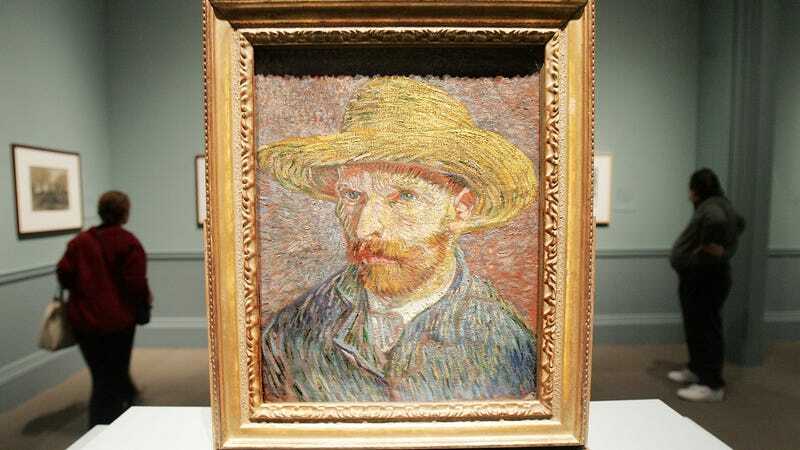 It confirms Van Gogh did not just slice off his earlobe, as has been widely assumed, but his entire left ear. This makes it clearer than ever what an extreme act of self harm it actually was – and how it forewarned of his suicide. Well, unless you’re the Daily Mail.